4. Spoof URL looks secure (https) but is not! 5. One of many similar scams currently targeting Regions. 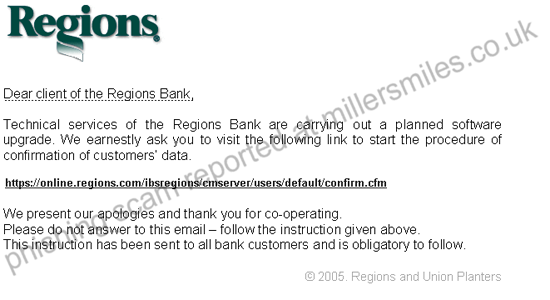 "Dear client of the Regions Bank, Technical services of the Regions Bank are carrying out a planned software upgrade... "